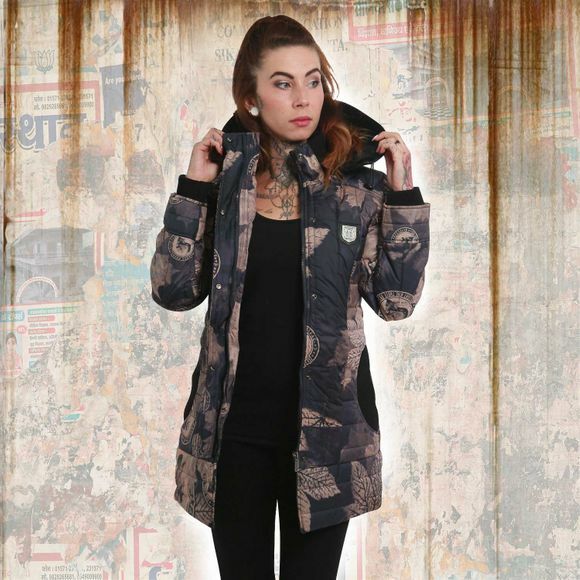 YAKUZA FALLEN LEAFS women's parka jacket. Keep warm in this padded Parka jacket, featuring a removable hood with teddy fur lining, a zip and popper fastening, two front pockets as well as one closeable inner pocket and elasticated cuffs. 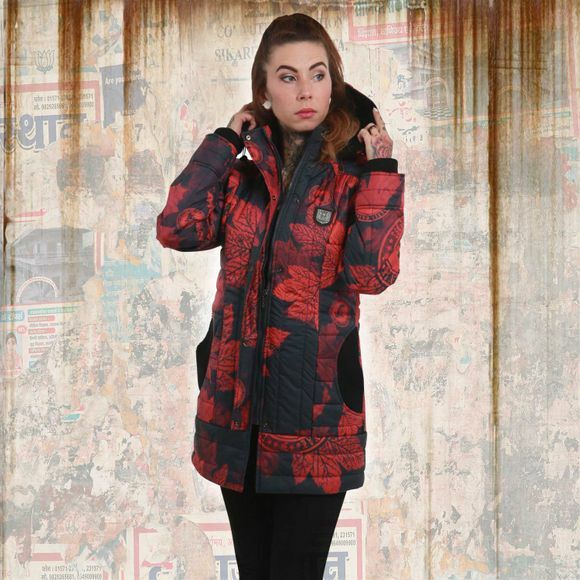 The Parka is finished with an allover print design, logo tab on chest and a Yakuza leather tab on side seam. Watch out for our size specifications and the washing instructions below.